A vibrant 55+ community, 2 bedroom (split plan)/2 bathrooms, master with walk in closet and its own bathroom, light and bright, 2 car garage, separate dining room, family room and living room, Florida room with a brand new window unit that is for heat and cooling. Newer entry door and side light, newer laminate flooring, dining room and 2nd bedroom has newer insulated windows and dining area has mirrored wall, newer kitchen counter cabinets and appliances, newer low flow tall toilets, French doors In living room and dining area with crown molding, family room has a newer insulated roof, finished floor and vinyl with sliding windows in Florida room, newer interior doors, large rain gutters front and back, two garage pull down stairs, driveway widened, insulated garage door. The Highland Lakes community offers a tremendous amenities. Approximately 15 -20 min. to #1 Beach in Florida – Caladesi Island/Honeymoon Island. It is located in a natural wet land area, surrounded by several small lakes and off of Lake Tarpon that includes, fishing, model sale boat racing, nature trail, local wild life, large clubhouse with tennis courts, stage, exercise room, library, kitchen, billiard room, craft room, meeting rooms , driving range, RV and boat storage, indoor (heated pool) and outside pool, woodcraft building, softball field, 50 activity groups, 100% in Reserves, 938 homes. A/C 10 years old, Roof 15 years. 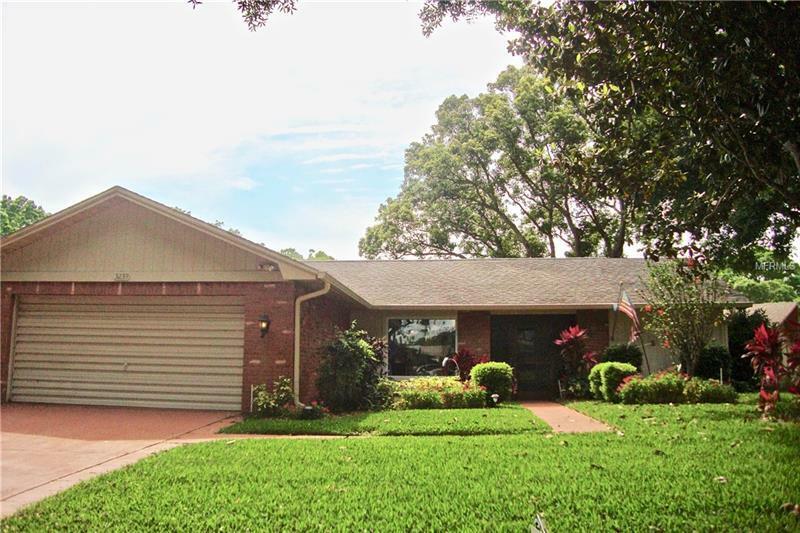 Close to TPA airport, grocery stores, etc.